SPONSORED STORY - Exploring practical ideas, research and initiatives under the ‘My Life, My Choice’ theme, the Disability, Ageing and Lifestyle Expo, held at Adelaide Showgrounds this Friday 23 September 2016, aims to empower consumers and helping them to be at the centre of decisions related to their needs. The Disability, Ageing and Lifestyle Expo will feature free information sessions, practical ideas, research and initiatives. This is Adelaide’s largest Disability and Ageing community event that attracts audiences of 3,000 people with upwards of 150 exhibitors. Presented by Catalyst Foundation (formerly Seniors Information Service), the expo focuses on improving the physical, social and emotional wellbeing of people living with disabilities, those on the ageing journey and those interested in living an active lifestyle, and what types of services and support planning is available. It’s about encouraging people to welcome and embrace the option of choices and flexibility when making important resolutions about their wellbeing, care and support. The expo will feature free information sessions on Accessing Help at Home, Update on the NDIS roll out in South Australia, Aged Pension and your choices, Lifestyle and Estate Planning. Have your driving skills changed over the years? You can receive information about public and road safety from the SA Police Stand and also drive the traffic simulator to test your driving ability. A digital literacy centre will be available to the public. You can enquire on tablets, computers and mobile phones. The Expo will also feature live performances by local performing groups and there lots of prizes to be won. Catalyst Foundation is an inclusive, charitable and independent organisation seeking to improve the lives of all South Australians in the areas of Ageing, Disability, Lifestyle, Employment and Business and Learning. The Disability, Ageing and Lifestyle Expo is this Friday, September 23, 2016 at Adelaide Showgrounds, from 10am to 5pm, with an entry fee of a gold coin donation. 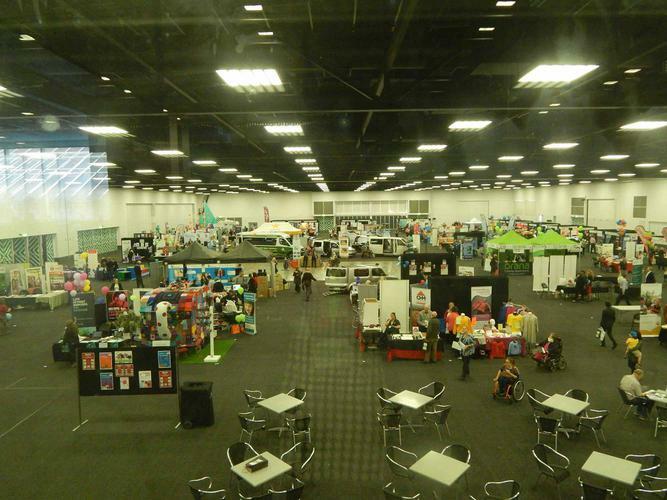 Held in the Goyder Pavilion, just off Goodwood Road, the Expo is easily accessible for visitors with mobility needs and those using public transport. For more information about the expo, call (08) 8168 8702 or email events@catalystfoundation.com.au.